Case White Bowie Knife | BUDK.com - Knives & Swords At The Lowest Prices! A perfect way to commemorate special achievements, the Case White Bowie Knife will be treasured for life. Skilled artisans using the finest materials and time-honored techniques make Case knives the brand of choice for sportsmen and knife enthusiasts, as well as, the most collected knives in the world. This bowie has a 9 1/2" polished stainless steel blade and a tough white synthetic handle. The polished brass guard and pins complement the smooth, white handle. A leather belt sheath is included to protect the blade. 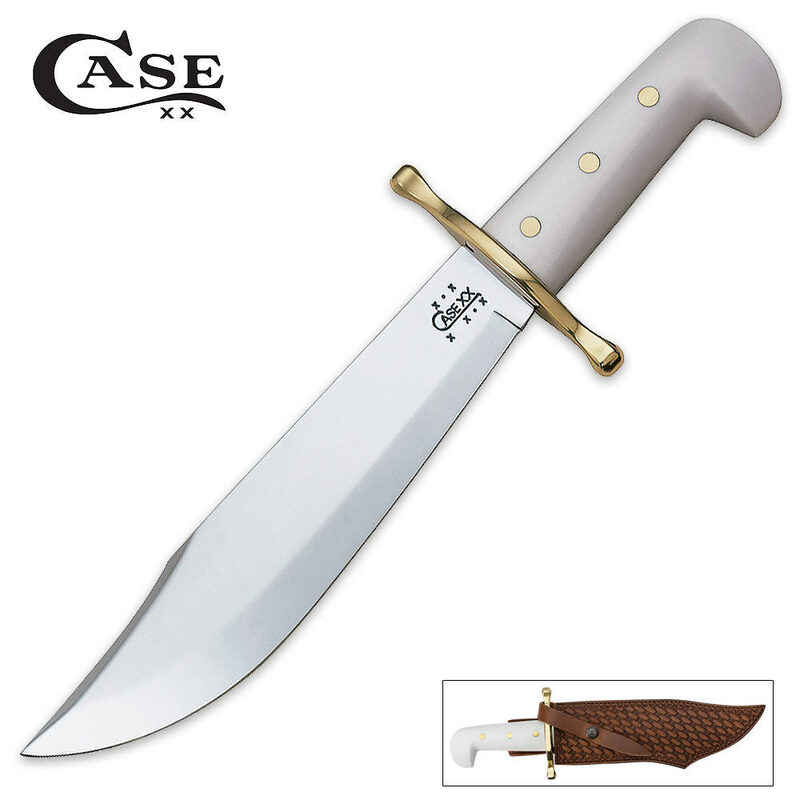 You can count on Case to give you a bowie knife that will become a family heirloom. This Bowie is just great. Feels good in hand and will display great in my show case.